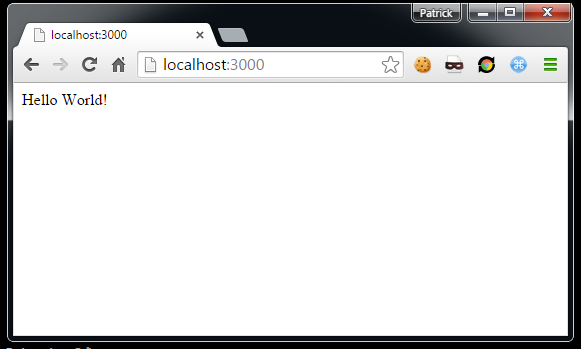 I am going to create a basic Node Express web app that utilizes a Postgres database. 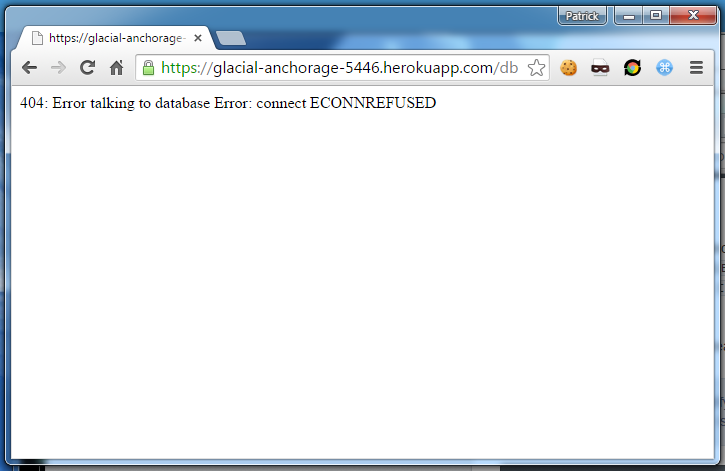 Then I am going to push this up to Heroku and make use of their free Postgres DB. This document will be a little long winded, as I am going to go through the entire TDD and using my own git server as well. 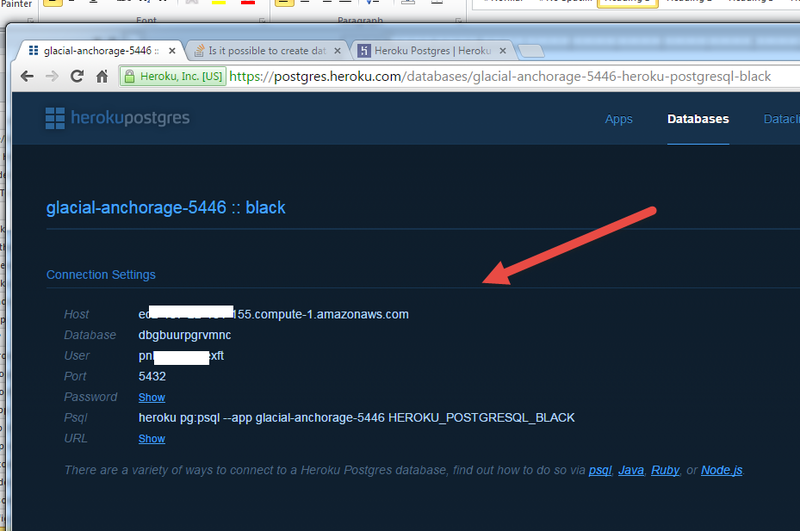 Heroku provides access to a free Postgres DB you can use. The free version is limited to 10K rows. Upgrade to "Basic" for $9/mo and you get 10M rows. 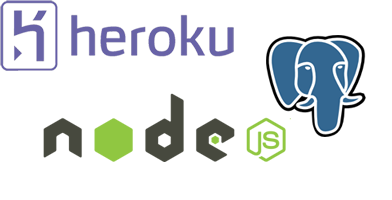 Beyond that you can pay for your own database server at Heroku and those come in different flavors and prices. (The free and basic also have a 4 hour downtime / month). 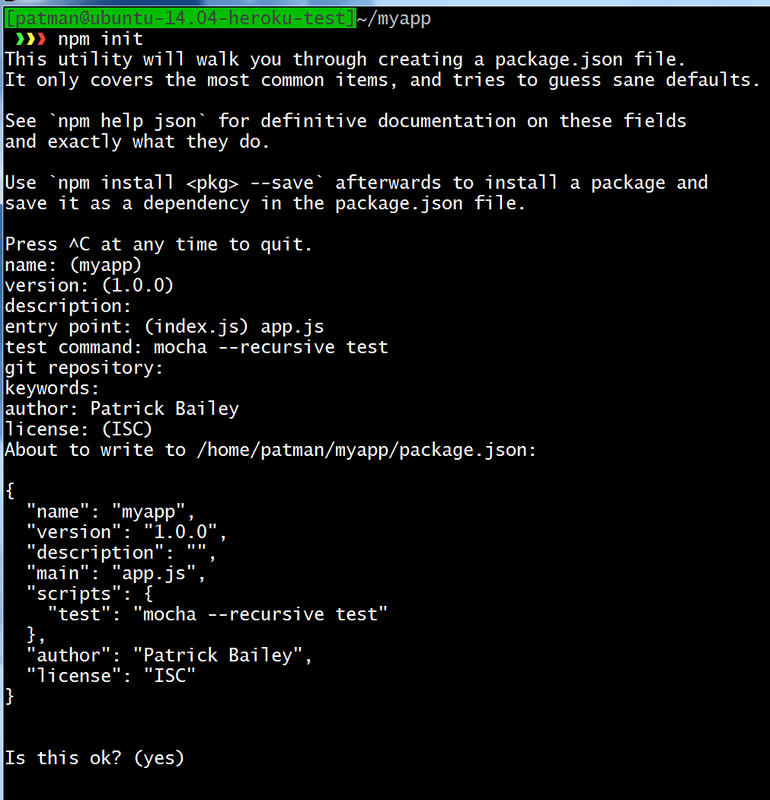 Create a new folder and run npm to initialize it. After all that I should have a package.json. Here is mine. I am going to make this a private module (So it can't accidentally get published to npm). 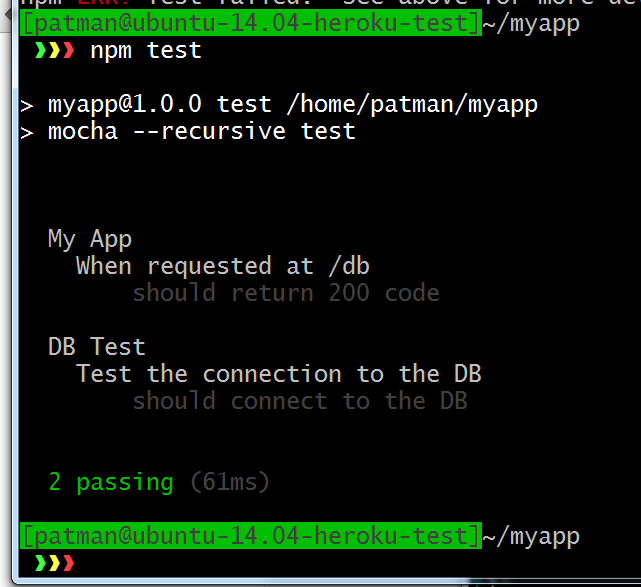 I am going to use mocha, chai, chai2-json-schema, and superagent for TDD (Test Driven Development). I am going to install them for the development only. This is very basic. It returns Hello World. It also has a function for Starting and stopping the server (this will be used by the tests). Knowing this I am going to create a server.js file as my start script. And place the following into it. What is the next feature I want? The before will start the server, the after will shut the server off. And for the test I am just making sure /hello returns a 200 code. Add the following function to it. Confirm app can connect to the database. I need to think this on through some more… I don't think it really is a feature… you really should mock out your connections to the database so that you don't need a running database to run your TDD tests. But I am not going to set up mocks for this simple example. For this simple example I want to make sure I can connect to the database. Before I start down this path I need a database to connect to. I am using Ubuntu 14.04. 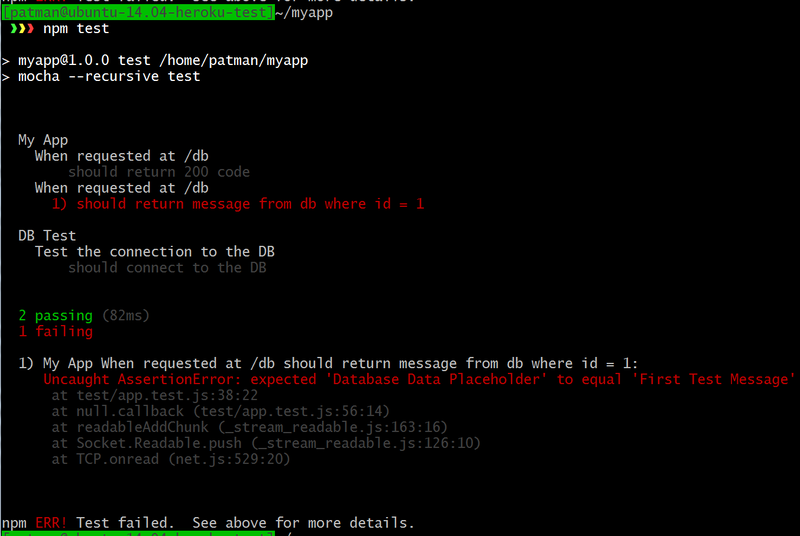 · A database called "myapp"
· A table called app_message that contains a few text messages in it. Run the following command to run the script. Run the following command to confirm the database has been created, the table is populated, and the app_ro can read from the database. > psql -h localhost -d myapp -U app_ro -c "select * from message;"
Before I can set up this test I need to figure out configuration files in node. 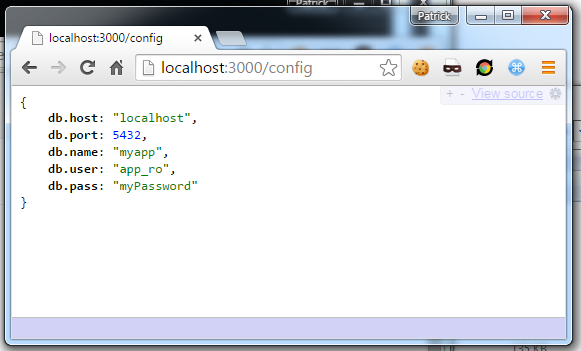 I need a config file to store my database login settings. I want to be able to have settings for production, Staging, Testing. Looking at the notes for the config module it looks like it works like this. First read any configuration from the default.EXT. EXT can be .yml, .yaml, .coffee, .cson, .properties, .json, .json5, .jhons, or .js. 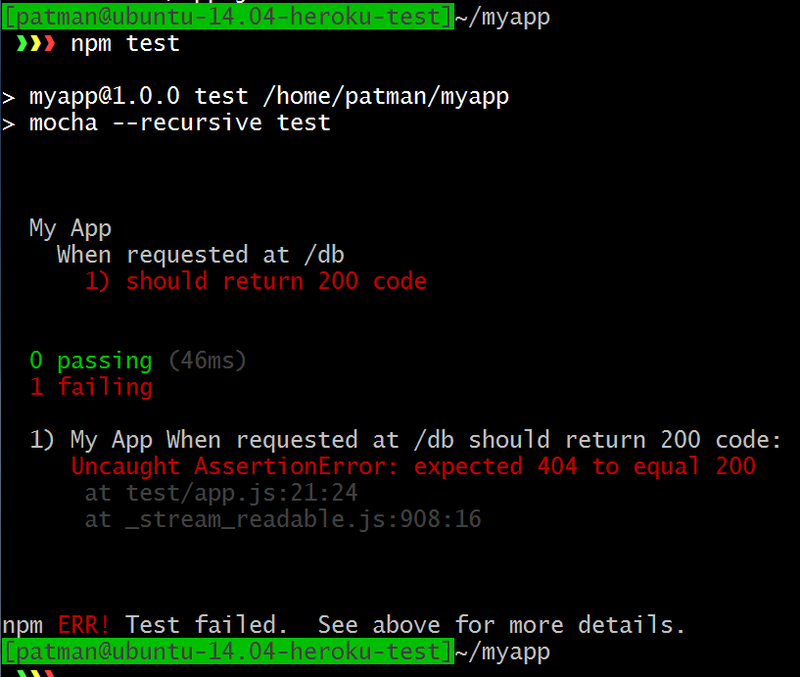 I am going to add a new method to app.js to test it out. (don't forget to require the config library). How do I override this file with environment specific configurations? Looks like I can set the NODE_ENV variable. At this point I have not made a config/production.js config file yet. If I run it now nothing should change. got a warning, but it did start. and I got the same results. That worked. Now it is getting data from the config/production.js file first and if it is not defined there it gets the data from config/default.json. I have a Database and a config file set up. 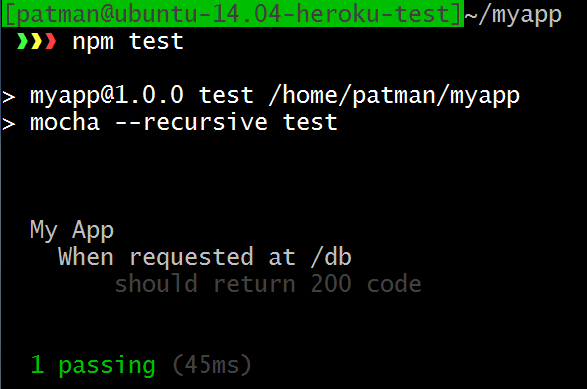 Now I can set up a test that confirms I can connect to the database. Confirm that you can connect to the database listed in the config file. var conString = "postgres://" + config.get('db.user') + ":"
This passes, so no need to implement the feature. To have done it more TDD I should have written this then added the Postgres database. But se lève. I want to start fresh and put this app up to Heroku and use it's free Postgres database (limit 10K rows). 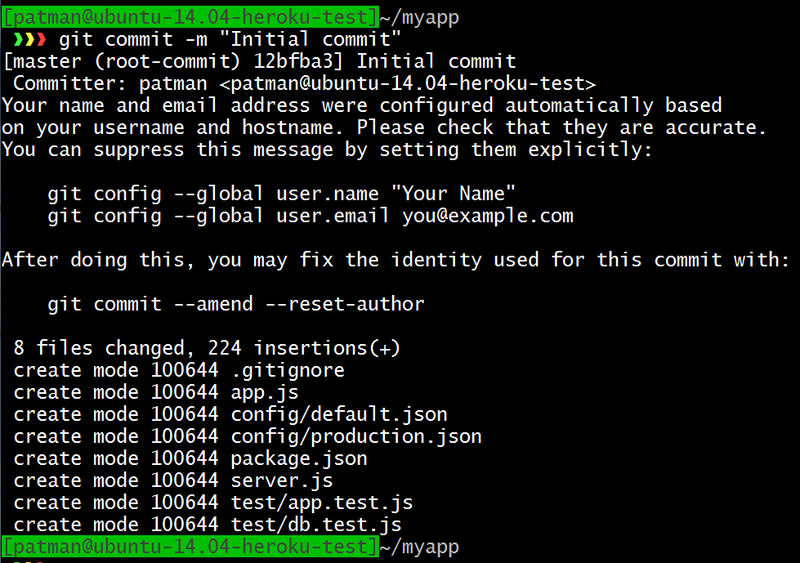 If you have not already installed the Heroku tool belt, install it using this command. 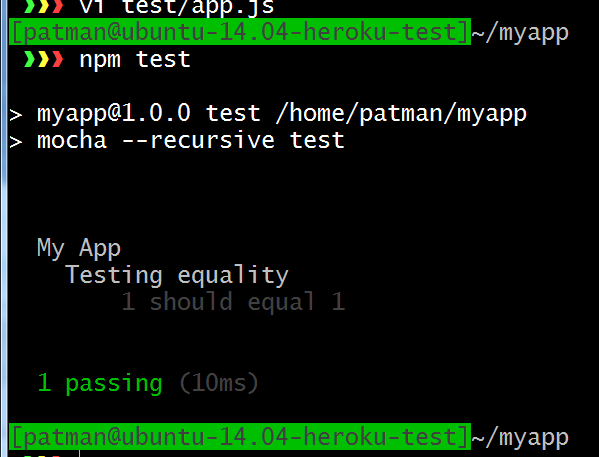 I have one running I need to stop (I am on a free Heroku account and can only have one running at a time). I am not sure is there is just a way to "stop" the app? Maybe just set the dynos = 0. OK it's gone. So now I can add this one. Looks good, it's not adding the node_modules folder, but it is the test folder. 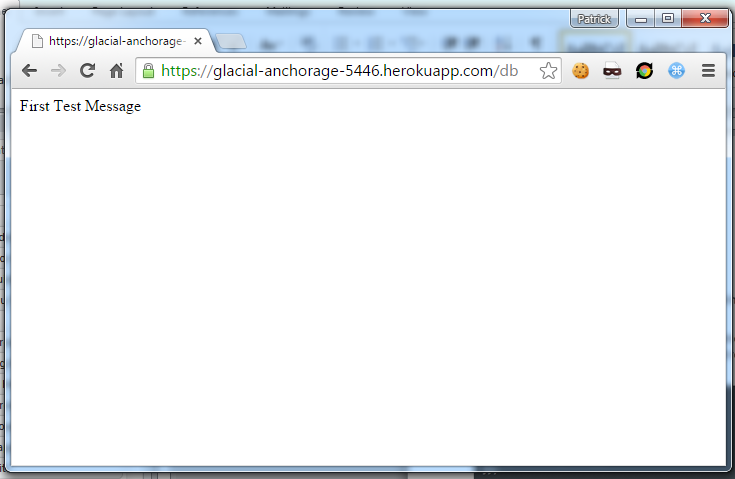 At https://glacial-anchorage-5446.herokuapp.com and it already created an empty repo for me at Heroku. 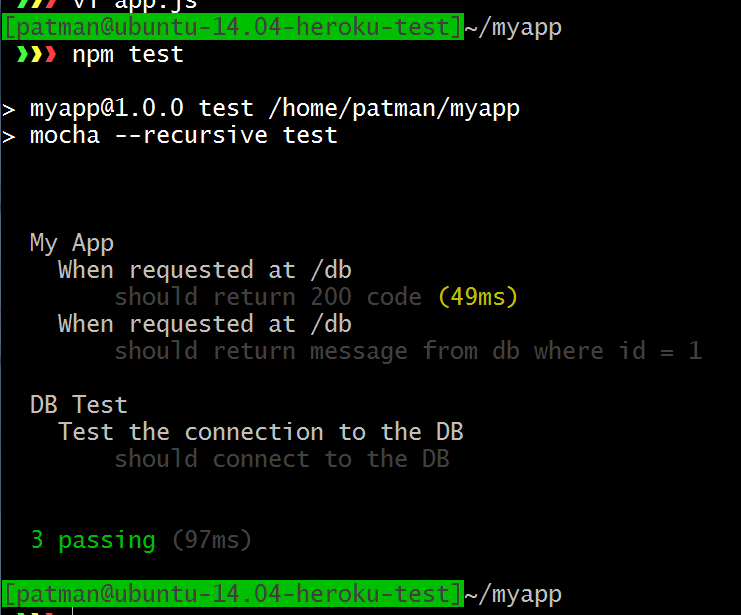 When you run heroku create it adds in the heroku remotes to the git repo for you. Run the following command to list the remotes. Looks like I need to add the "engines" field to package.json, to tell Heroku which version of node to use. > git commit -m "added engine to package.json"
In code's current state I think it should fail, well at least fail talking to the database. Mostly because there is no database. 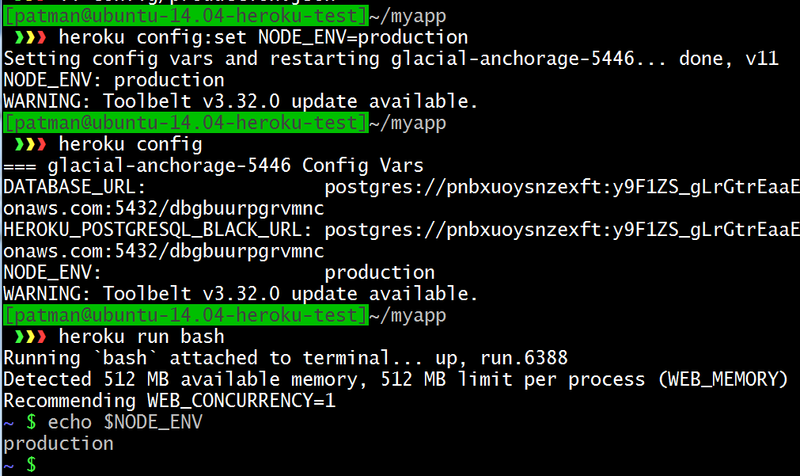 Run this command to provision a Postgres hobby database. 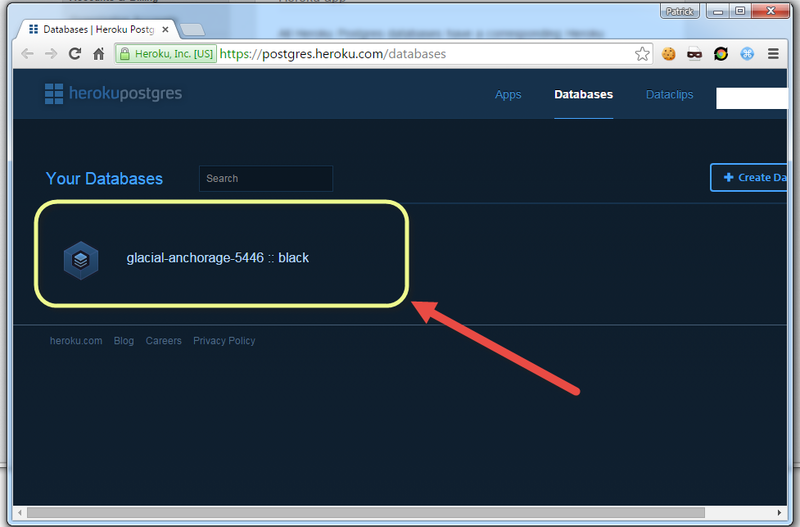 Heroku Postgres databases are designed to be used with a Heroku app. However, they are accessible from anywhere and may be used from any application using standard Postgres clients. 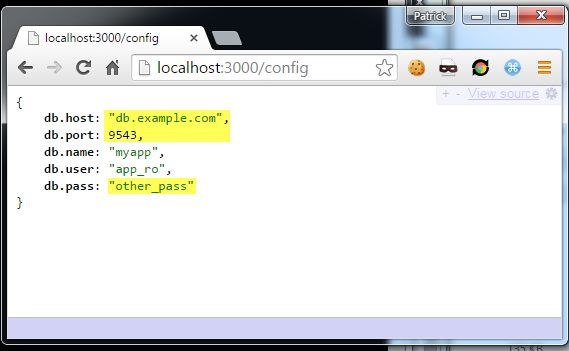 Looks like the DB can be accessed from anywhere (something to consider when using Heroku). 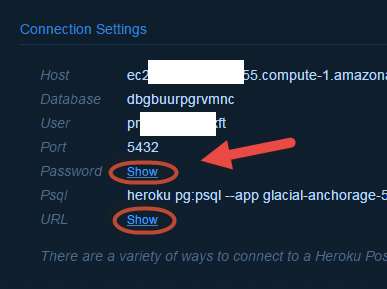 Head over to https://postgres.heroku.com/databases and login you should be able to see your database. Now you can see your connection info. Click here to show the username and password. To make life easier I am going to make a password file see http://www.postgresql.org/docs/9.1/static/libpq-pgpass.html . The psql command does not allow -p "myPassword" within the command, and that password is going to be pretty hard to type every time. 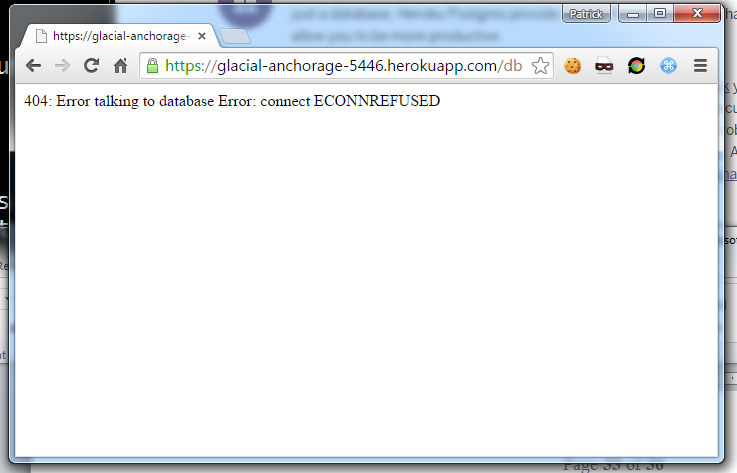 This shows that you cannot add any users to your Heroku database. You only get the default one. Now I could just login and run the following commands to create the message table and populate it. But… I would rather dump my current database and move it up to the Heroku Postgres DB. Don't forget to remove the dump file. Now commit the changes in git and push to Heroku. > git commit -m "fixed config"
And with that I am done with this super long tutorial. Wow - this was a great walkthrough! Thank you so much for doing this! It really helps that you did absolutely everything from scratch and explained it all through. Thanks!